The Best Tracfone Phone is no longer a phone you are ashamed to pull out of your pocket in public. Tracfone has finally released some nicer phones. 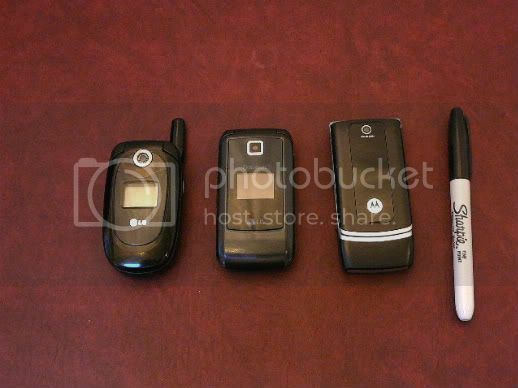 The lineup of the Nicer Tracfone phones include the Lg 225, the Motorola W376, the LG 600g and the Samsung T301G slider. I like the touch and feel of the LG 600 the best. The Motorola W376, the LG 225 and the Samsung Slider all also have a nice feel to them. The antenna stalk sticking out of the LG 225 is a little annoying because I carry my phone in my front pocket. Phone Fit while Talking on the PhoneI like the smooth lines and larger size of the LG 600 and W376 for talking on the phones. I have big hands and a large head and the way they flip out I can get the phones into a comfortable position for talking. The LG 225 is pretty good, I just like the 600 and W375 better. I do not like the way the Samsun Slider fits my face. The Bluetooth on my LG 600 and my W376 will not connect to my Dell laptop or another phone or my friends Acura. I have not been able to get my Samsung to connect to any of them either. The Bluetooth on most of the phones will hook up to headsets but not to most other Bluetooth appliances. I really like the feel of a slider like the Samsung T301G. I will not be using it because I carry my phone in my pocket all the time. I feel the folding phone protect themself in my pocket better. The Slider phones do have an automatic keylock so when your phone is put into your pocket you will not be dialing accidentally as your phone gets bumped around. The keylock automatically deactivates when you open the slide. Free Tracfone Shipping on the Best Tracfone Phone from Tracfone.com .